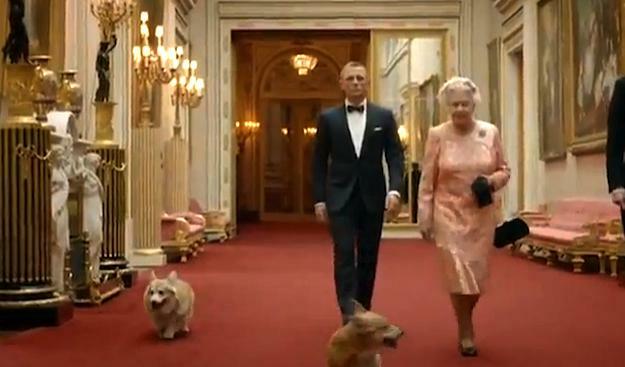 Queen Elizabeth II is now a Bond girl. I am sooo jealous! I also loved watching Will & Kate and Harry enjoying themselves so much during the Olympic games. Gabrielle Douglas winning the gold medal in the Women's Gymnastics All-Around and helping the US Team win the team gold. She is such a charming young lady! 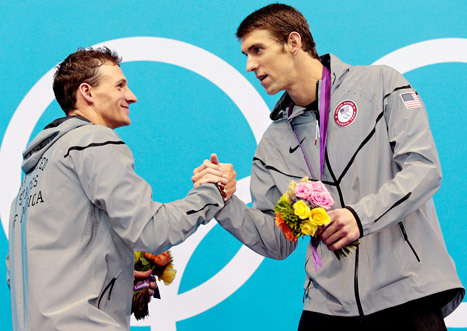 Michael Phelps adding to his medal count and especially that he beat Ryan Lochte. I don't know if it's the diamond and ruby encrusted grill or the fact that he just doesn't seem bright, but I could never get behind him for some reason. He made me cheer for Michael and it was great to see Phelps end his Olympic career on such a high note. Victor Pistorius. 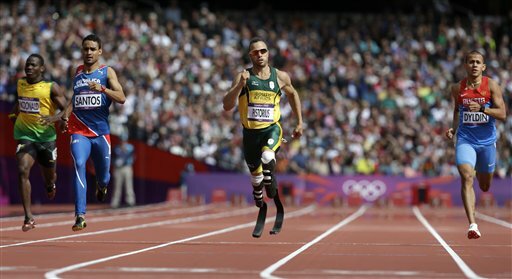 I had never heard of him and I am obviously not from South Africa, but my husband walked in and thought I was seriously hurt because I was flat out sobbing when he qualified for the semifinals in the individual 400m. 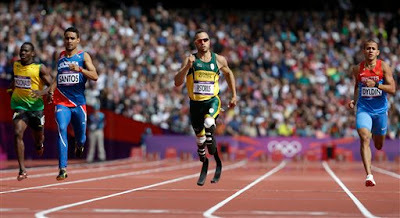 And seeing him get the chance to run in the team 4x400, even on appeal, turned on the waterworks again. 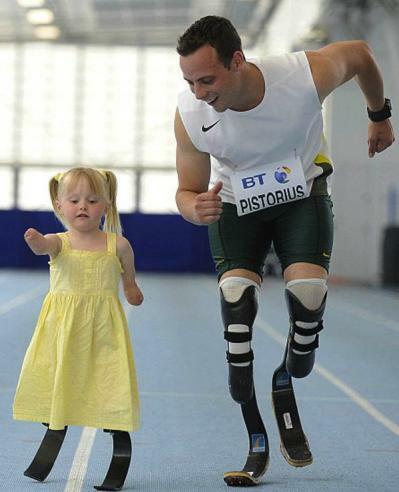 How inspiring is he? 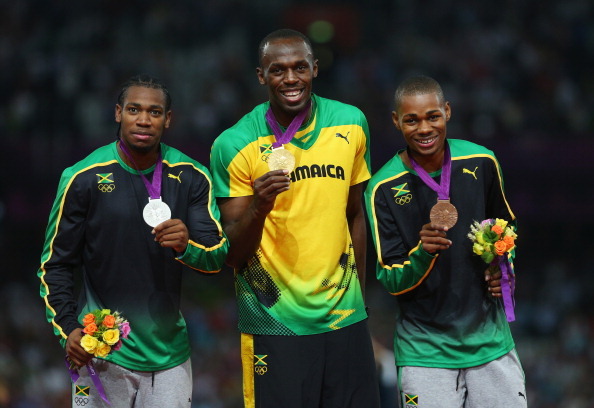 Jamaica sweeping the men's 200m. Maybe because my sister and I just got back, but I was really happy for the team and Jamaica. And also, why are they so fast?!?! Is it in the water there? Mexico finally winning a gold medal in men's football! And defeating Brazil to do so just made it that much sweeter. Again, Mr. Fantastic walked in to see me singing the Mexican national anthem with tears streaming down my face and just turned around and walked out of the room. I know he's excited that it's over now and I will (hopefully) get back to normal. 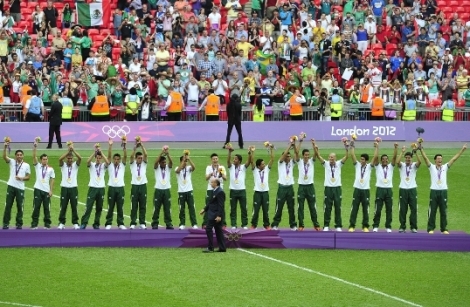 These were great games and I am now looking forward to Rio in 2016.